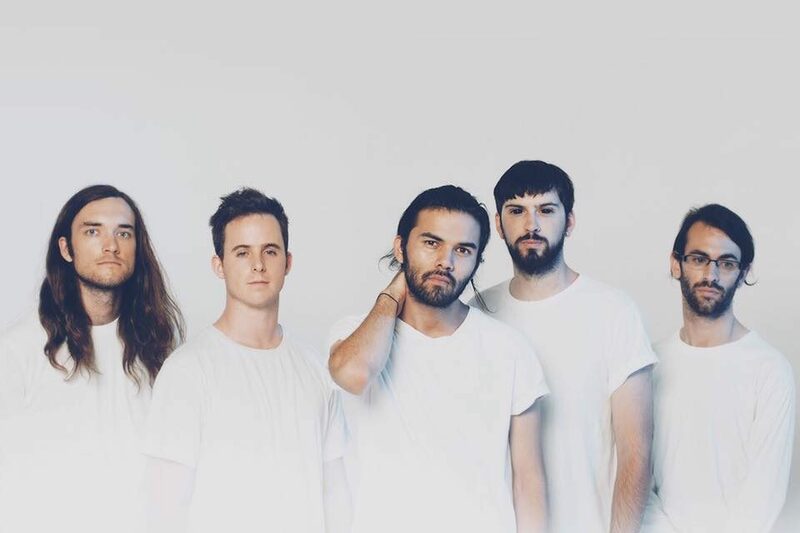 Popular metalcore group Northlane are on their way to New Zealand. The Sydney band are touring North America taking in countries like Chile and Mexico as they head our way down-under next month to play Wellington’s San Fran then Auckland at the iconic Kings Arms. The Australian metalcore band from Sydney, formed in 2009. 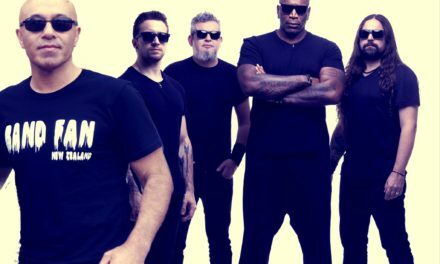 The band comprises of guitarists Jon Deiley and Josh Smith, bassist Alex Milovic, drummer Nic Pettersen and vocalist Marcus Bridge. They’re touring their new album Mesmer, released earlier this year. Wal Reid caught up with vocalist Marcus Bridge, to talk life, music and his quarter Maori heritage. It’s been crazy. The vibe’s been crazy, ever since we’ve released Mesmer the feedback’s been extremely positive. It’s crazy seeing people losing it to these newer songs. When we released Node it was still a very tentative, “Oh, what’s going on here?” vibe from the crowd, but with Mesmer it’s been very positive, so we’re very stoked with that. You mean with the shift in the song writing and sound? For sure. I think with Node it kind of a very different change. Obviously, people familiar with Northlane and their earlier albums it’s definitely a shock, but for people who have settled in now and figured out what we’re all about, just know we’re doing what we love doing it. It’s definitely translating live and we’re loving it. Are you still writing new music as you’re touring the new album? We haven’t really had a chance to delve back into writing. Whenever we finish recording an album we always start the chat about “What we’re going to do next.” We’ve got a lot of ideas. I’m going to bring this up because we have close ties, Australia and New Zealand. Aussie bands like Violent Soho or The Amity Affliction have Kiwi members in them, how about your band? I’m actually quarter Maori. It’s weird I was brought up in Australia and I’ve actually never been to New Zealand prior to that tour we did last year. It’s pretty crazy actually, I remember getting called out in McDonalds once in Sydney. I had a fishbone necklace on and this guy asked, “Are you from New Zealand?”, I said “Yeah, I’m quarter Maori” and he said “I can tell because you say “Maoree” like that.” (laughter) I’ve figured out the pronunciation now, but I still feel weird saying it. I feel self-conscious about it after he called me out. What’s your favourite TV Show that you like to binge watch? That would-be Parks and Recreation. I just love every character on that, they always have social commentary sneakily put into it, whether it be “fast-food in America” or some of the latest season has gone on about social media and how they’re kind of “spying on you”, I also love that kind of humour – quite a show. Do you have any favourite NZ artists or bands? Let me think. I guess – do we still count the Finns as New Zealanders? We’ve adopted them so I’m not sure if we call them Australian or not? I love Crowded House, big fans. I like their attitude as well. Most bizarre request from a fan? So, we were in Wagga Wagga, we have these armband things and there were these people up the front they were literally trying to tear them off, “Can I have your wristband?”. I felt like this slap on arm and people trying to pull these things off. It wasn’t really a request but more of a ‘demand’. Have you guys ever had a ‘stalker’ like Mel from Flight of the Concords’? Nothing quite that bad (laughter) We’re pretty good I think. Flight of the Conchords, that’s another good one, good artists. There’s a lot of different stuff I listen to but I’m not sure if there’s a whole lot that directly influences me, however, one of my favourite bands is Panic! at the Disco. I think a lot of people find that quite strange considering I play in a ‘happy’ band I suppose. I’m more influenced by great vocals, Michael Jackson, Bruno Mars – I’ve been listening to so much of that. I like musicians to do something wacky but still keep it memorable, catchy – all that fun stuff. Is your like of melodic singers an influence on your music given you play in a ‘screamo’ Metalcore band? Absolutely. 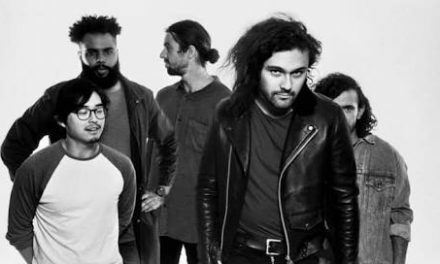 Before I had joined Northlane I was in a pop/rock band. I think it’s about having fun, not pulling out that ‘tough guy’ Metal persona when I’m playing. It’s definitely important to be yourself and have fun. That’s the kind of thing people react to and enjoy when you’re playing live. I find it very hard not play without having a smile on my face because I’m having so much fun even though it may be juxtaposed to the style of music we’re playing.